Susan Bronsak has been a loyal friend, follower and contributer to this Summer Sketching Series for several years now. Her watercolor, sketching and journaling work is inspiring. Once again, thank you so much Susan! 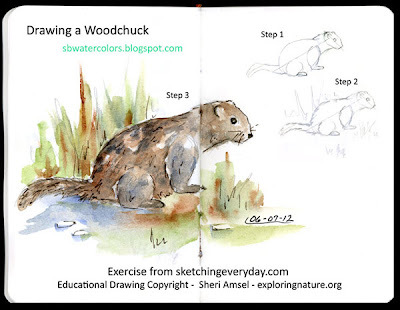 Check out Susan's work and her great woodchuck post here! Thanks again Susan. Nice job!